Some travel experiences will mark you for the rest of your life and I have no doubts about the fact that the world is filled with stunning destinations but my journey to Tibet has simply blown me away. My visit to Tibet was part of a trip to different countries of Asia and started in Chengdu the homeland of the panda and a beautiful place to visit in Central China but not the destination I wanted to reach yet. My utopia of travel destinations ladies and gentlemen is the region of Tibet about 2000 km west of Chengdu and home to some of the most exciting landscapes. Lhasa is the capital city of the autonomous region of Tibet and a rather popular city to visit and where you will definately not be the only american of european with a backpack! Lhasa is known for its famous landmark Potala Palace which was the former home of the Dalai Lama and for all Tibetans a very sacred place. Also in Lhasa you will find the Jokhang Temle and Monastery where you can always find an enormous crowd of people on the kora, the circumabulation route around the temple. 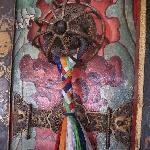 The Ganden Monastery is another monastery pictures in Lhasa and also pictured in my gallery below. 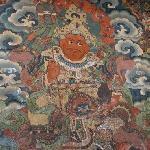 Some of the artwork and Dalai Lama pictures at the various monasteries are simply beautiful. People also use to light their yak butter candles as Tibetan life still revolves around the yak. Eventhough accomodation during my time in Tibet was always very humble and simple I did rent a 4wd to be able to see as much of the region as possible and especially to cross the western parts of Tibet where desert plains have taken over. The lake region is known for beautiful hot springs, King Tiger Hot Springs, and of course beautiful lakes like Namtso Lake, again a great place to spot herded yaks. Mount Kailash in the Tibetan Himalayans is definately a high peak of the yourney and I would recommend this intensely beautiful itinerary to any nature lover out there! 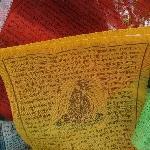 Did you enjoy Journey to Tibet and have you been on a holiday in Tibet, China?